There seems to be a lemming like instinct among politicians, in that if the economy is in trouble they seem to do exactly the thing that is designed to push it off the economic cliff. A behaviour that mirrors that of the lemmings who are popularly supposed to commit mass suicide by jumping off a cliff into the sea.The current situation in the United Kingdom (UK) provides a good example of this lemming instinct within the political classes. The economic auguries are not good for the UK. One obvious problem is the record trade deficit, the highest for any country in the developed world. Then there are the record levels of consumer debt again some of the highest in the developed world. Finally there is the combined deficits of the banking sector which are in excess of 400% of GDP. There are also a host of other problems such as some of the lowest levels of productivity in Europe and the continuing decline of the manufacturing sector make for a troubled economy. The decline in the manufacturing skills base is is so marked that the Ministry of Defence can no longer find within the British economy sufficient native engineers to design and build our warships. In desperation the Ministry of Defence had to borrow warship designers and engineers from the USA for this task. In such a situation what is least needed is a political shock that could send the UK economy into a dangerous downward spiral. Yet our political classes did just that with Brexit. One of the leading campaigners even said that the warnings of economists should be ignored as there could always be found self interested experts to support any political campaign. Ignoring the facts is the criteria of all lemming politicians. To be fair the vote leave politicians they did recognise that there might be an economic downturn, in the event of a vote to leave the EU. However they assumed that it would be a small and temporary economic downturn one from which the economy would bounce back. History shows that when politicians plan what they think will be a temporary economic downturn, it proves to be anything but, as these downturns can easily spiral out of control. The greatest threat to the UK prosperity is its massive private sector indebtedness. The level of debt is so great that it vies with Japan for the unwanted title most indebted of developed nations. Unfortunately it is in a much weaker position than Japan in that much of that debt is debt owned by foreigners. This foreign owned debt consists largely of money lent at short notice (that is the debt that the owners can demand repayment of immediately or within a very short time period), which is then lent long to property companies etc. Meaning that in the event of a large withdrawal of funds the banks will have trouble meeting the demand for cash. Only if the banks and the Bank of England have sufficient reserves of foreign currency can they meet the demand. This is a very volatile situation as demonstrated by the fact that soon after the Brexit decision, many property funds had to stop customers withdrawing funds as they did not have sufficient funds to meet the demand for cash. This proved to be only a temporary crisis as the Brexit panic was short lived and the funds could return to normal operating practices, when the panic ended. However what is forgotten is that on Black Wednesday speculators forced the Bank of England a state of near bankruptcy, when it ran out of foreign currency reserves to meet the demand for foreign currency. Whatever might happen in the future, the UK remains as vulnerable as it was in 1992 to an adverse movement in the foreign exchange markets. Only the most foolish of politicians would want to create a scenario in which that becomes more likely. What every politician should know is that to deliberately provoke an economic crisis or downturn no matter how small to achieve some political end, is the most foolish of all actions as such downturns always prove hard to control. All too often a small economic crisis turns into a major crisis that has difficult and unforeseen consequences. Politicians need to learn that they cannot turn the economy on and off as they please. Sometimes I am puzzled, are the intelligent people on my television screen lying or are they really much less clever than I think? Last week two politicians with good degrees from elite universities both made a nonsensical statements about welfare spending, which either they knew to be untrue and in which they both displayed an incredible degree of cynicism and contempt for the electorate. Or more incredible still they believed in what they were saying. George Osborne stated that he will impose a financial cap on welfare spending. Later Ed Balls for the opposition intimated that Labour would support the proposal. Whatever both really thought, it is impossible to guess. It is difficult to believe that either could think that they could predict welfare spending with any certainty in the future. A more sensible approach would be to commit to limiting welfare spending to reasonable levels, without committing to a fixed cash sum. Unfortunately a reasonable rational approach to political decision making makes bad headlines. If both politicians believe that they can limit welfare spending to a particular figure; they are assuming that little will change in Britain in the five years following the election. They both must be claiming to know what demands there will be on the welfare system in the years 2015 – 20, which is impossible. There are a number of possible events that could occur which would make it impossible to keep within the cap. There is some evidence that the British economy is running into one of its periodic periods of decline. The most obvious manifestation of this is the growing disparity between earned incomes and housing costs, either rent or purchase price. A recent article I read suggested that a young nurse who lived in Central London would have to pay 75% of their income in rent. Even Islington the former desired choice of home for metropolitan professionals is now being rapidly divested of them as they seek more affordable tenancies in other areas. House purchase in London now prices average £600,000 must be impossible to all but a privileged minority. The UK housing crisis is one of the lack of affordable housing, either for the young, median income families, the disabled, or increasingly the new elderly suffering from draconian cuts to their pensions. Whatever the government does it cannot avoid a spiralling housing benefit bill from the increasing large numbers of people unable to afford the costs of even modest housing. The government has succeeded in selling a cap on housing benefit, (together with the bedroom tax) as a means of limiting the costs of housing benefit to the nation and eliminating the dependency culture prevalent amongst the work shy. However the line cannot be held as increasing numbers particularly in the South East and London will need help with housing costs, who will obviously not the the work shy inhabitants of the dependency culture. At present an inhumane policy toward benefit claimants has worked, by depicting them as several varieties of scrounger. There will be a time when the hostility towards these claimants abates. It is not inconceivable that this will happen when in the near future the majority of families in London will be claiming help with housing costs. Then it will be no longer an option to put families on the street, as these will be the ‘hard working families’ so beloved of the government. Even the most hard hearted of politicians will be forced to make concessions in face of the popular reaction against the mean spirited housing policy of today. There is an alternative, governments in the past took action to control house price and rents. However that occurred in the despised 1960’s and none of the current generation of politicians would wish to go back to the time of social democracy. What could be an endless list of events that could break the welfare cap will be limited to one more, climate change. This year the Thames barrier has had to be raised a record number of times preventing the carrying out of essential maintenance, making a possible failure of the barrier in future likely. The welfare costs of a flood that devastated London would be huge. While the government could afford to be complacent about flooding in the far away North or Somerset. The hysterical reaction of the media and politicians when it was possible that flooding in the Thames valley, threatened both their homes and constituencies demonstrates that there would be no limit to the welfare spending to help distressed Londoners. One writer whose name I forget (probably Samuel Johnson) said that ‘all politicians are either fools or rogues’ understood all to well the nature of politicians. They either cynically propose solutions which that they know that of no relevance to the numerous crises at hand but which suit their political agenda or seem unable to comprehend their seriousness of these crisis’s and go along with any plausible solution made by their leaders or the media. How many of the political opponents of climate change are paid advocates of the energy industry, who will do anything for money and who are really flat earth proponents it is hard to know. All one can say is that as never before the political classes are overwhelmingly made up of cynical liars and the fools. 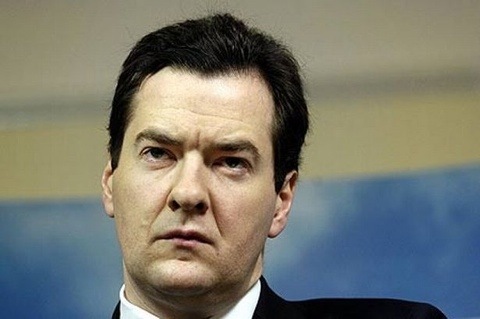 Describing George Osborne as this century’s greatest economist, is to choose a deliberately provocative title. While it is intended to be a title that catches the eye, I do have a more serious purpose in drafting this essay. 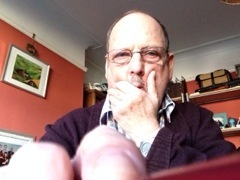 There from the perspective of this writer a certain admiration for George, he is the supreme Machiavellian politician. He can persuade others to accept that black is white, even if they know he is wrong. As Chancellor he has set the agenda for the political debate. Labour politicians have responded to his agenda, rather than trying to set out their alternative approach. There are differences but these are intended magnify the difference in the eyes of the beholder (electorate), for an economist they are but trifling differences. Last week’s political debate illustrates this all too clearly. George Osborne announced that because of budgeting restraints that all NHS staff other than receiving annual increments would not get an increase in their pay. In his eagerness to appear responsible he said that if he became Chancellor he would follow George’s lead and implement a pay freeze. 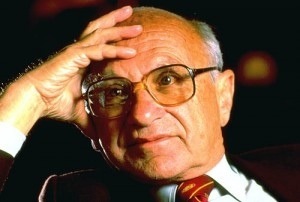 There are two types of great economist, the first are economists such as John Maynard Keynes or Milton Friedman who revolutionise economic thinking and change the way governments approach economic policy. Secondly there are those such as Mao Tse Tung who set the economic agenda and policy making through sheer force of personality. (Often accompanied by the threat or use of violence.) Both are great in the sense that they revolutionise the practice of economic decision making and policy implementation. Communist China experienced several changes in the direction of economic policy under Chairman Mao. He tend to favour a razing to the ground of the economy and to be followed by a remaking of the economy in a purer communist mode. By doing so in the Great Leap Forward in 1958 he intended to take the control of the economy out of the hands of the bureaucrats and return control of the the economy to the workers and the peasants. The policy was disastrous which according to one source caused 60 millions deaths through starvation caused by reducing agriculture to a state of chaos. This use of greatness has no moral dimension, but views greatness as the power to revolutionise and change economic policy making for decades. George Osborne is one of the Chairman Mao type economists. While knowing little about economic policy making he has through sheer force of personality changed the way economic policy making is viewed and discharged. He has made deficit reduction the central plank,of his economic policy. Unlike previous Chancellors he has made this the priority, other targets such as reducing and ending child poverty have been scrapped as being incompatible with this end. He has sold to the nation the belief that a continued and possibly constant programme of national austerity is necessary for national well being. Ed Balls I initially opposed this policy (as having a better understanding of economics he should have known that the policy was flawed from the start), yet after a few more squeals of protest he fell into line. He has promised that he will continue the programme of national austerity if Labour is elected. Quite an achievement for a ‘no nothing’ economist to dictate the direction of economic policy for at least 10 years and possibly more. Having called George Osborne’s thinking flawed it is necessary to demonstrate these flaws. In 2009 Paul Tucker, Deputy Governor of the Bank of England produced a highly significant but little read report. He expressed concern not about the size of the government deficit but the size of the deficit in the banking sector. Then as now the deficit in the banking sector was just over 500% of GDP, while even today the government budget deficit will peak at 80% of GDP. George has closed his eyes to the potential crisis in the banking sector, where a ‘run on the pound’ will cause a catastrophic economic crisis that has the potential to reduce the incomes of British citizens to less than that of the impoverished Greeks. Is George hoping along with the entire Parliamentary community that nobody will notice this omission in his deficit reduction programme? There other great flaw is his belief in ‘expansionary fiscal contraction’, one of the most nonsensical phrases coined in the debate on economic policy. His argument is that if the government to fund its deficit has to borrow large sums from the banks, it deprives industry of the money it needs for investment. Therefore if government borrowing is cut it will free funds for investment and the economy will grow and all will benefit. There has been no evidence of this ever happening (except in wartime), what has reduced the flow of money for investments, is the banks preference for speculative financial activities over long term investment. Banks prefer to lend money for speculation in the commodities, financial, equities and property markets. It this speculation that reduced the money for investment in industry. In fact 80% of all bank loans are to the property market, that is why they have no money to lend to industry for investment. A problem ignored by George Osborne who has preferred to give the banks £200 bn. A programme in quantitive easing, while announcing just £1 bn. for investment in the national infra structure. George Osborne’s success recalls to mind that other great non economist who rewrote the economics agenda and that was Ronald Regan. His rival George Bush Snr. 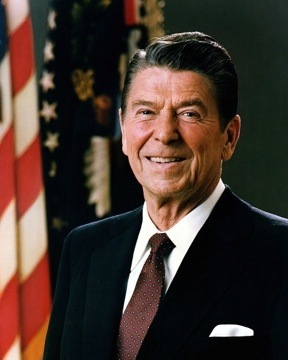 denounced his economics as ‘voodoo’ economics, only to eagerly embrace it as Regan’s Vice President. Despite all the evidence to the contrary Ronald Regan’s economic policy was hailed as a success by politicians. He as with George Osborne preached the virtues of small government and he cut taxes and claimed to cut government expenditure. While he cut domestic spending on welfare he exponentially increased defence spending. Billions were wasted on his Star Wars programme. He funded this excessive expenditure through government borrowing and when he finally left office, the USA had its greatest budget deficit ever. George by comparison will by the time of the next election leave Britain with an ever spiralling banking deficit, leaving Britain at the mercy of predatory financiers. However this essay is written in praise of George Osborne, so I must remain to central theme of why he is a great economist. While I could write about his Machiavellian skills in manipulating political friends and foes, there is a more interesting approach. Economics is a subject that lends itself to charlatanry, because politicians are desperate for that one policy that will deliver success. When in conversation with economists their normal degree of scepticism is abandoned, they are so willing to believe that the proposed policy is the one that will deliver success. George Osborne must have realised early in his career that any well packaged and presented economic nonsense would sell. He would have had as a prominent politician have seen close up how the Treasury manipulated economic statistics and how whatever sleight of hand the Treasury used there would always be a coterie of economists praising the Chancellor’s policies. The reason economic charlatanry is so widespread is that economists only have the vaguest understanding of how the economy really works. To admit this as an economist would be to invite ridicule and so everybody pretends black is white even if they suspect that black really is black. Modesty is never a characteristic of any economist, bluster is the more usual characteristic. I am not suggesting that economists are ignorant of the working of the economy, so much as that they vastly overstate their understanding of the economy. If I can use an analogy into this pool of preening fish a predatory shark arrived, who realised how easy it would be to manipulate the consensus of views to suit his ambitions. He would have found that politicians such as Ed Balls who play by the rules of the economic game were easy to manipulate. What any economist knows is that the future is uncertain, so predictions for the future have to be hedged around by ‘maybes’ and ‘perhaps’. Yet George Osborne has torn up the rule book, he knows what the future holds. He has set limits to future spending, including a welfare cap all of which Ed Balls as shadow chancellor has signed up to. 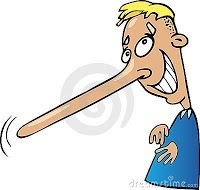 If events turn out differently, George Osborne will happily abandon all his pledges giving some plausible explanation. While if Ed Balls becomes Chancellor he will be the hapless acolyte following the master, whatever happens he will stick to George Osborne’s targets. At it’s worse economics as practiced in the UK is an invented game and those who stick to the rules in this imaginary game will always be at a disadvantage compared to those who have a complete disregard for the rules.